Today was day one of my 3 week holiday, I could SO get used to not working. Before I jet off to Singapore and Thailand I am spending some quality time with the boyfriend, so today we spent the morning shopping, went for a run and then I finally got to make one of the brunch recipes i've had stashed away for when I finally had time to cook in the middle of the day! We made, bacon and egg breakfast cups. I originally found the recipe on one of my favourite foody blogs - www.spoonforkbacon.com which incidentally is the home to the majority of the brunch recipes i'm dying to make, including "Baked apple cinnamon french toast" which looks AMAZING. But yes, the breakfast cups were the first I came across, although it appears to have disappeared off the blog now! So these are basically bacon egg and toast in cute little cup form! Flatten out your bread with a rolling pin and cut a circle out the middle using a cookie cutter, a glass or a knife... I went with knife, and press into the muffin tin to create a little bread cup. 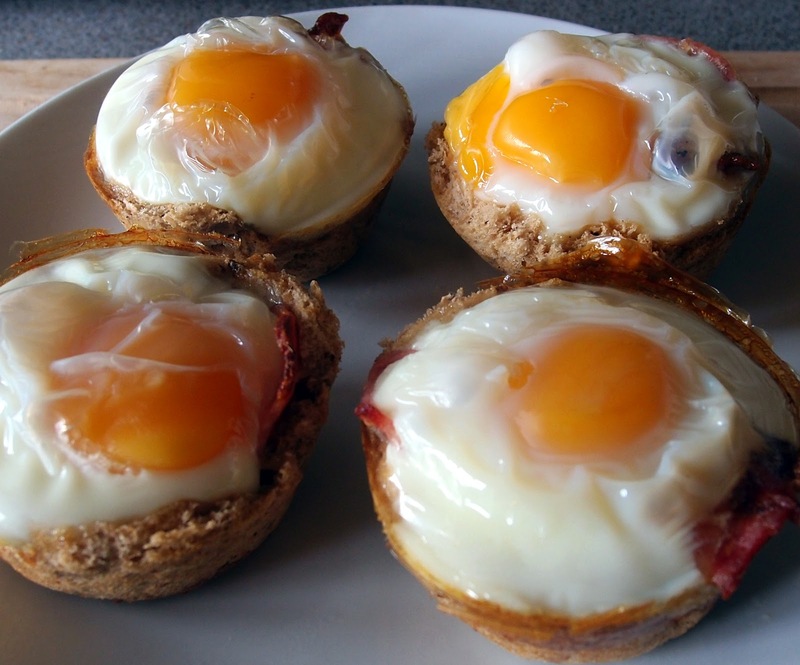 Grill/fry your 6 rashers of bacon until almost crisp, place a rasher into each bread cup and crack an egg over each. Bake in the middle of the oven for 20-25 minutes until the whites are just about set, run a knife around the edge and pop out of the muffin tin using a spoon. There you have it... breakfast cups, such a cute way of serving bacon and egg, and super yummy!